In June 1960 four Finnish teenagers — Maila Irmeli Bjorklund, 15, Anja Tuulikki Maki, 15, Seppo Antero Boisman, 18, and Nils Wilhelm Gustafsson, 18 — went camping on the shores of Lake Bodom, a small lake by the city of Espoo about 20 km (13 mi) west of Helsinki. Some time between 4am and 6am on 4 June 1960 three of the teenagers were stabbed and beaten to death. The only one to survive was Nils Gustafsson who was concussed and suffered a fractured jaw and face. The case remains unsolved. On the 12th anniversary of the slayings a man committed suicide and left a note claiming he was the killer. He had been working in a soft drinks kiosk near the lake on the day of the murders and had sold lemonade to the victims. A police investigation cleared him of any involvement. In March 2004 the police arrested Nils Gustafsson and accused him of being the killer of his friends. In 2005 the Finnish National Bureau of Investigation declared the case solved. Gustafsson, they said, was suddenly gripped by a terrible jealousy for his new girlfriend, Maila Irmeli Bjorklund and, after bludgeoning her, he stabbed her several times post mortem. The others were not attacked with such severity. 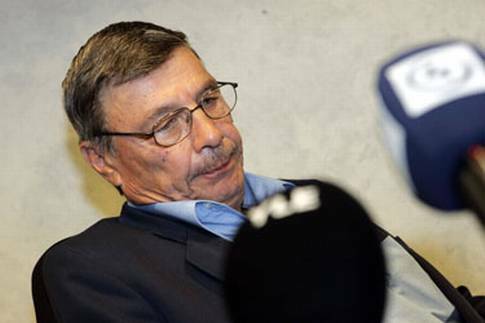 The trial of Nils Gustafsson began on 4 August 2005 – more than 45 years after the murders. The prosecution called for a mandatory life sentence for the three murders, citing new DNA evidence. The defence suggested that Gustafsson’s wounds were too severe for him to have been able to carry out one murder let alone three. He was acquitted of all charges on 7 October 2005 and awarded 44,900 euros compensation for mental suffering during his incarceration. So, as Nils Gustafsson did not kill his friends, who did? The year before the trial a doctor who worked at a nearby hospital named a suspect in a book. Professor Jorma Palo had been on duty in June 1960 when German born Hans Assmann wandered into the hospital seeking treatment for some unexplained wounds. Assman was allegedly an East German spy and Palo claimed that the German was able to escape detection because of a diplomatic cover-up. He also claimed that before his death in 1997 Assman confessed that he was the murderer. The Finnish Government has denied that Assman was ever a serious suspect.